A United Kingdom visa grants visitors entry into the UK as well as permission to stay for a specified amount of time. There are different visas available, depending on the purpose of the visit. The application fee will depend on the type of the visa as well as the amount of time for which it the visa will be valid. The reciprocal agreement between the UK and the U.S. means that U.S. citizens do not need visas to enter the UK for tourism or business purposes. However, it is a requirement for citizens of other countries who reside in the U.S.
Travelers must submit an application for a visa. The application must be completed and paid for online at the UK Border Agency's website. At the end of the application process, the applicant makes an appointment to submit biometric data (fingerprints) at an Application Support Center. Applicants must submit recent passport-sized photographs along with their visa application. The number of pictures required will depend on the type of visa the applicant needs. Applicants for a tourist visa only need to submit one photo, according to Express Travel Services. Visitors to the UK must have a valid passport with at least one blank page on both sides for the UK visa. The passport must be valid for at least six months from the date of entry into the UK. Travelers must show evidence of self-support. Acceptable documents include bank statements, pay stubs and travelers checks. Those who are visiting a family member or a friend must show a letter of invitation from their sponsor. The letter must explain the relationship between the sponsor and the applicant. If the sponsor plans to support the applicant during the visit, then the sponsor must provide evidence of funds, such as a bank statement and pay stubs. Applicants for a UK visa must show that they are citizens or legal residents of the country from which they are applying. Documents that show evidence of legal residence include a passport, permanent resident card and valid U.S. visa. Travelers must sow proof of intent to leave the UK at the end of their visit. A return ticket or confirmed itinerary satisfies this requirement. Amo, Tina. "Visa Requirements for Travel to the UK." 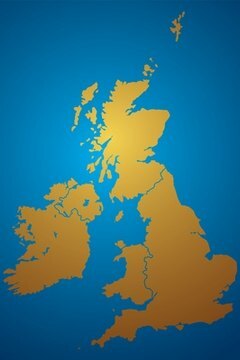 , https://legalbeagle.com/6554939-visa-requirements-travel-uk.html. Accessed 20 April 2019.